Everybody wants a clean, sparkling, white smile, that’s a no-brainer. Even if you take excellent care of your teeth by brushing, flossing, and using mouthwash twice daily, your sparkling smile can still fade away. It’s not unusual to look in the mirror and think that you need to brighten up your smile. Having white, sparkling teeth gives you the confidence to show your beautiful smile. In addition to food and beverages, smoking or chewing tobacco is a major contributor to teeth discoloration. In addition to the many other harmful effects of smoking cigarettes, this habit can also affect the way you look and make you feel insecure about showing your teeth. Aside from external factors, age plays a part in the discoloration of your teeth. As you age, the enamel on your teeth wears thin and the yellow layer (dentin) becomes more visible. In this day and age, dental whitening kits are available at any drugstore or supermarket. We can surely understand the appeal of DIY whitening kits. The price is appealing, they are easy to use, and they can be conducted in the comfort of your own home. Unfortunately, teeth whitening kits are not a one-size-fits-all solution. What works for one person’s teeth may not work for yours. Perhaps the trays or strips don’t fit your mouth, or the solution is not strong enough for your teeth. For example, if the discoloration is intrinsic (coming from an internal factor such as aging), as opposed to an external factor like coffee or tea, a home whitening kit or toothpaste will not reduce teeth discoloration. All of these factors can lead to poor, or inconsistent, whitening results. Additionally, over-the-counter whitening agents may irritate your gums, cheeks, or tongue. While these solutions don’t pose a large risk to your health, they can make for an unpleasant experience. 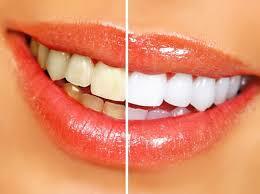 When you visit a professional for your teeth-whitening experience, you will notice the difference. The dentist will assess your personal situation and prescribe a course of treatment personalized for your teeth. While the higher cost may initially deter you, the results will no doubt impress you. Your dentist will need to assess the health of your teeth before performing whitening services. They can let you know if your teeth are healthy enough for the treatment, or how to work toward this for the future. Professional teeth whitening means two things: better results, less time. Dentists use similar whitening agents as the at-home kits, but in much stronger formulas. Stronger bleaching agents are used and distributed evenly throughout the mouth. This leads to more consistent results, whiter teeth, and in much less time. If you live in the Liverpool, NY area and are looking for teeth whitening services, give us a call!